The X1-Series Top Fixed Balustrade/Pool Fence system is designed to fix to the floor of the balcony, landing or stair structure, whether it be the concrete slab or lightweight framing. 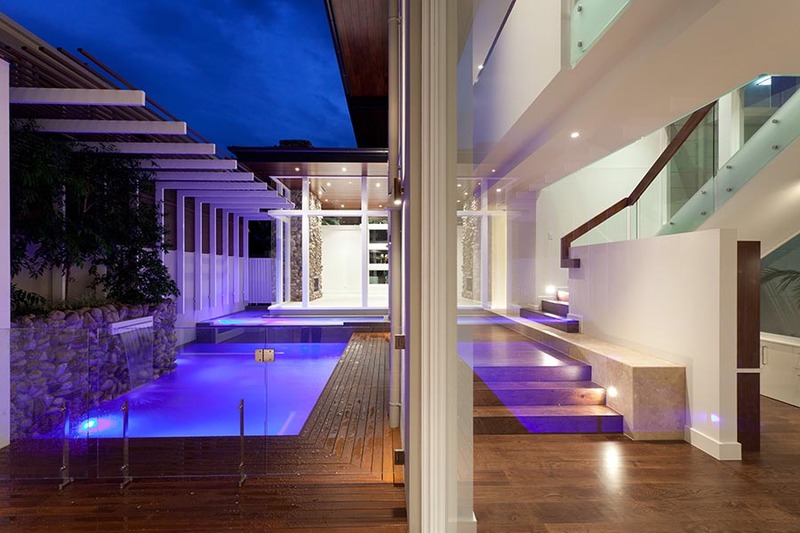 This balustrade system is suitable for use on; houses, residential buildings and offices with the T4650 top fix stanchion and is particularly suitable for pool fencing fixing down onto a timber deck. 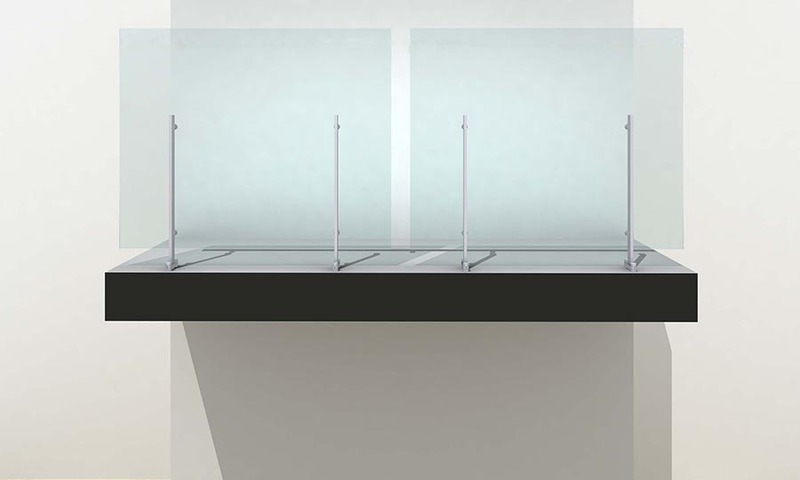 System: THUMP ARCHITECTURAL FITTINGS ‘X1 Series’ – with top mounted X1TM stanchions with toughened glass glazed infill panels. 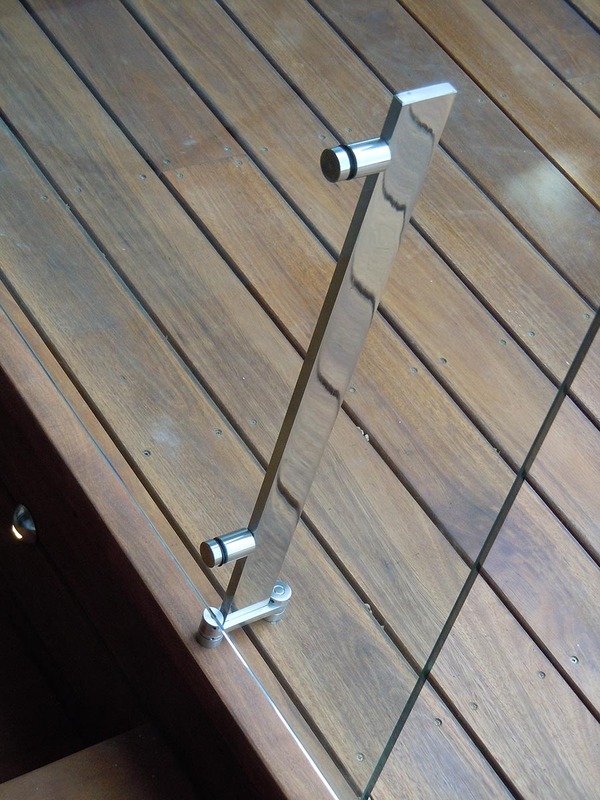 Glass mounted to internal face of stanchion.